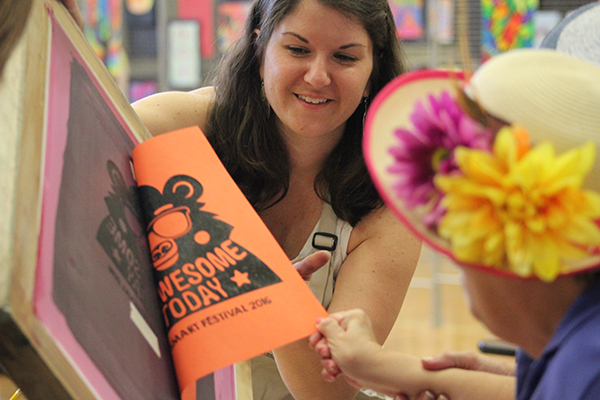 The 6th Annual Davie County Schools’ Arts Smart Festival, sponsored by Ashley for the Arts, was a wonderful success this year. With over 800 guests coming out to enjoy creative art projects, lively band concerts, choral performances, musical previews, dance demonstrations, and fascinating art exhibits, the entire afternoon was a resounding success. The program opened with a hearty welcome from Ashley Furniture Senior Manager of Human Resources, Mr. Clark Bunting, who presented Davie County Schools with a check for $10,000.00. 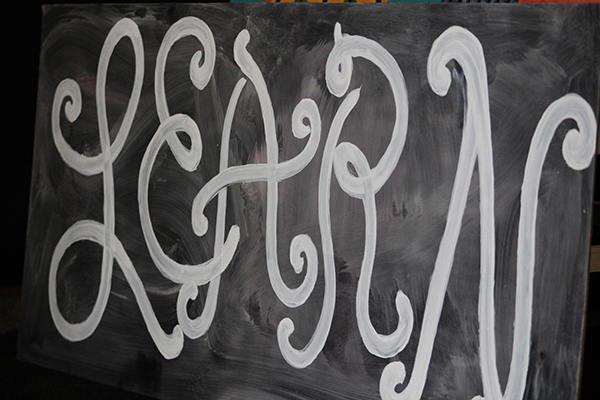 These funds are used to support Arts Education teachers with grants for equipment, instruments, and arts resources. 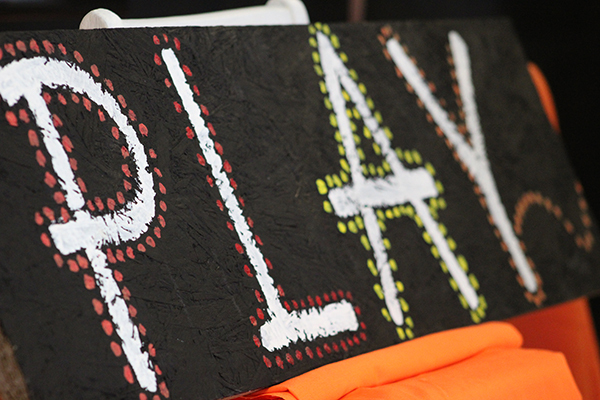 Ashley Furniture Industries supports the festival as a community event that brings the arts and families together. Ashley has presented the Ashley for the Arts Humanitarian Award each year for the past three years. 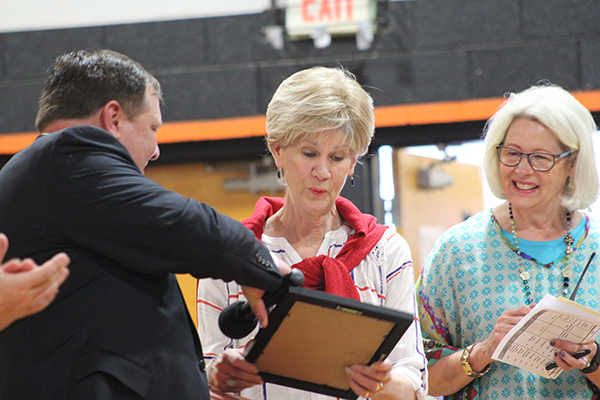 This year, Dr. Cinde Rinn, principal of Cornatzer Elementary who retired this month, was the honoree. Her 30 year career in education reflects the strong belief that every child deserves a quality, individualized education. Dr. Rinn’s innovative approaches to learning and her successful grant writing created an inviting environment for learning for students and teachers at Cornatzer Elementary for nine years. Following the opening ceremonies, the audience was treated to a performance presented by students from UNC School of the Arts, School of Dance. These talented young dancers delighted their audience with the ballet, Peter and the Wolf. 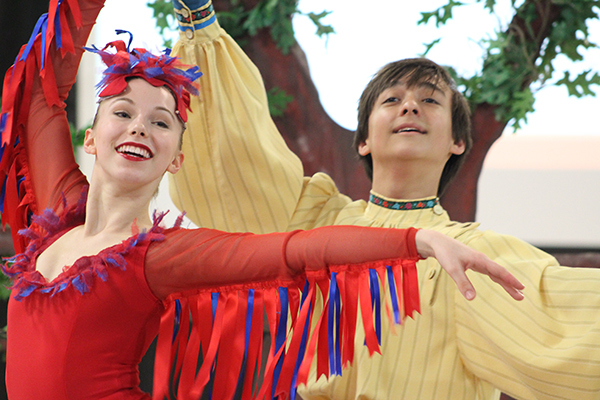 This production is part of the community outreach efforts by the UNCSA School of Dance, with the ensemble touring to elementary schools across Forsyth County each year through a grant from the Winston-Salem Arts Council. 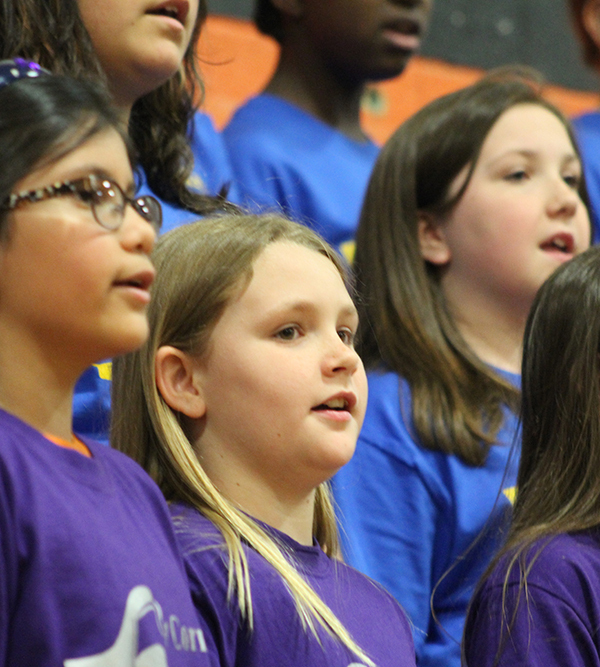 Peter and the Wolf was followed by the large combined chorus featuring students from all six of the Davie County elementary schools. The Arts Smart Festival is a Title One Family Involvement event that promotes families learning together. 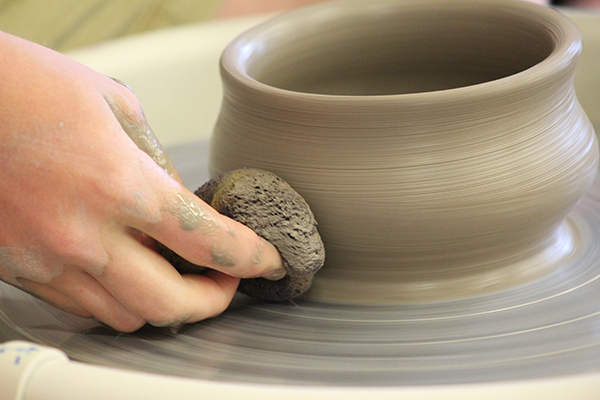 Many parents made art alongside their children or listened to jazz bands or excerpts from the upcoming middle and high school musicals together. Mr. Bunting also selected three DHS seniors to honor with an award for Best in Show. These students displayed works that demonstrated a broad range of imaginative and skilled artistry. Marissa Kittle, Lauren Coats, and Jacob Rosie each received a check for $500.00 to further their studies at the college level, continuing Ashley Furniture Industries’ focus on excellence in education. Dr. Darrin Hartness expressed his appreciation for the continued support and engagement of Ashley Furniture in the development of creative and resilient learners who are well-prepared for the opportunities of the future. Just over 100 members of the Class of 2016 left their middle schools four years ago and embraced a bold, new challenge: They became the first class within a new educational option for high school students in the county, the Davie High School STEM Center. Now, they excitedly face their graduation and anticipate their next steps into post-secondary settings. In this fourth year of the program, The STEM Center at Davie High not only graduates its first class, but also it celebrates its recognition as a STEM School of Distinction by the state of North Carolina. The STEM Center at Davie High, along with 7 other schools in the state, was honored at the North Carolina State Board of Education meeting in Raleigh, June 2, 2016. Four STEM Center teachers, Donna Dunn, Keith Richter, Yvette Shore, Cherri White; principal, Mr. Doyle Nicholson; and superintendent, Dr. Darrin Hartness accepted the recognition on behalf of the Center. The STEM Recognition process required not only hours of program development including in-depth professional development for Center teachers, but also a rigorous state application process. Davie High was required by the state to provide extensive evidence to prove 40 key elements that define a solid STEM program. In April after the applications were reviewed, DHS was one of only eight schools in the state granted a site visit during which reviewers asked hard questions, observed classes, and met with students, teachers, and community stakeholders. Davie High received positive feedback immediately with official word following: Recognition at the Prepared level for the program and at the Model level for its Teacher Leadership Model. Reviewers commented that it is unusual to see a program as young as the high school’s to be granted the recognition. In fact, only 27 schools in the state have been recognized as STEM Schools of Distinction within the last four years. Davie County Schools offers several excellent options for rising 9th graders to best fit learning needs of students. 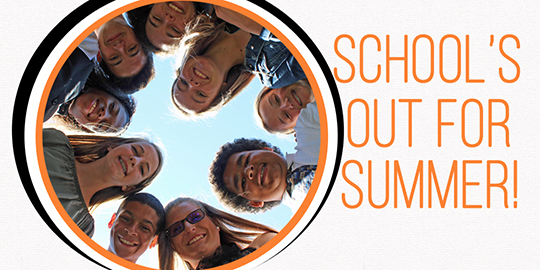 Families are invited to choose from among those options including Davie High School, Davie High School STEM Center, and Davie County Early College. As the Davie High STEM program continues to grow, the rising freshmen from the class of 2020 will become a part of a strong program of over 580 students and 22 teachers. The Center thanks the Davie County Alliance for STEM Education and the Mebane Foundation for their continued support throughout the past two years. 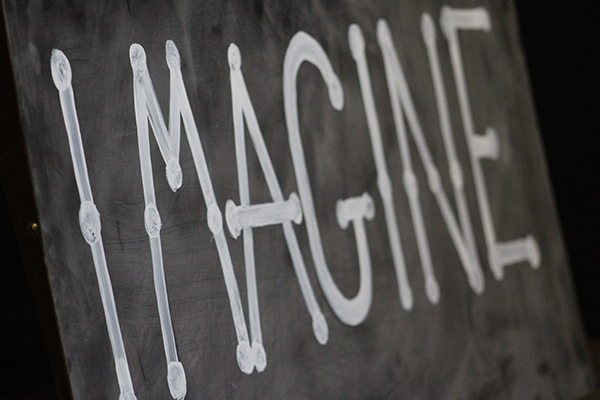 The STEM Center continues to build community partnerships, to provide real-world experiences, to connect students to professionals, and to insist that students be courageous and adventurous learners. 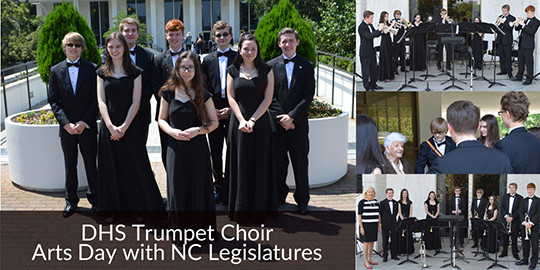 Our DHS Trumpet Choir attended the annual Arts Day with NC Legislators on Wednesday May 25. They played a concert for representatives from Arts Councils across North Carolina, independent artists, Arts Education Coordinators and Directors from over 70 LEAs and members of the General Assembly. A special treat was the chance to "serenade" Representative Julia Howard on the veranda of the Legislative Building and a short visit with her in her office. The members of the group are: senior: John Howard, juniors: Charles Chapman, and Andrew Renegar, sophomores: Lindsay Aggar, Destiny Anders, Luke Carter, and Taylor Smith, and freshman: Marceli Lewtak. The Trumpet Choir has received many consecutive Superior ratings at the North Carolina Bandmasters Solo and Small Ensemble Music Performance Assessment. This talented group of students also performs annually at the Mocksville Memorial Day and Veteran's Day ceremonies in addition to being featured in the DHS Wind Ensemble at the annual Arts Smart Festival. Also the lady in the black skirt and striped top is Representative Rebecca Carney of Charlotte, a strong proponent of Arts Education in North Carolina Public Schools. 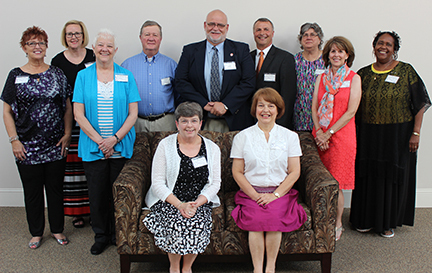 Best Wishes to the 2015-2016 Retirees! From left to right, sitting: Monda Griggs and Ann Bailey. Standing: Pamn Collins, Cindy Orsillo, Christine Correll, Lee McClamrock, Rex Allen, John Bullins, Sandra Dyson, Paula Seaford, and Odessa Ijames. Not pictured: Donald Tabat, Coy Barnes, Michael Rominger, Barry Whitlock, Dr. Cinde Rinn, Maureen Loos, Pete Gustafson, and Dr. James Bumgarner. Ms. Terri Winchell, Dance Educator at Davie High School, has been honored with the recognition of the 2016 Award for Excellence in Dance Education. Ms. Winchell has been a leader in North Carolina for her influence on her students and her active work as a performing artist. She is recognized for “her dedication, commitment, and passion for excellence and artistry in dance.” Dr. Mila Parrish, Director of the University of North Carolina at Greensboro Dance Education program described Ms. Winchell as an inspirational leader in the dance community who has worked closely with UNCG to support their students and to create collaborations with the Davie High School dance students. Ms. Winchell is a true artist, practicing her craft with discipline and intelligence while serving as a role model for her high school students as well as the college students who are studying to become dance educators. Her long-time friend and dance colleague, Noël Grady-Smith, describes Ms. Winchell as “a consummate professional and authentic artist; a strong, influential teacher who makes an imprint on the hearts and lives of her students”. We congratulate Ms. Winchell on her award and are grateful for her dedication to the students of Davie County Schools. Shodeah Kelly was the first Early College student and Davie Campus student to receive the Academic Excellence Award for DCCC. Shodeah maintained a perfect 4.0 GPA while obtaining her associates degree. Congratulations, Shodeah! Matthew Forrest, Dylan Waller and Shelby Reich earned Excellence in Automotive Technologies. Kaitlyn Lipscomb took 2nd place in the district HOSA competition in Medical Photography. Katie Shoaf placed 3rd in the regional FFA competition for Extemporaneous Public Speaking, as well as earning 1st place at regional for the Goat Production Proficiency Award. Tessa Ivester placed 3rd in the regional competition for Public Speaking. Hunter Hendrix, Sydney Cobb, Morgan Galliher and Megan Mohat placed 3rd in the regional Floraculture. Hunter Hendrix placed 1st in region in Dairy Handlers. Davie County FFA was recognized for being a National Chapter Award Gold Finalist. Congratulations to the following staff members on their new appointments! Cindy Stone, current assistant principal at Cooleemee Elementary, has been named the new principal for Cooleemee. Mrs. Stone earned her Bachelor of Arts in Elementary Education from UNC-Charlotte and her Masters in Elementary Education from Gardner-Webb University. Before joining Davie County Schools, Mrs. Stone served as a teacher for 18 years at Courtney Elementary School and Harmony Elementary. Elisabeth Bolick-Spillman has been serving as interm assistant principal for Shady Grove Elementary since the retirement of Dr. James Bumgarner. She will continue there as the newly named assistant principal. Ms. Bolick-Spillman earned her Bachelor of Science in Secondary English Education from Appalachian State University and her Master of School Administration from UNC-Greensboro. Ms. Bolick-Spillman was both a NC Teaching Fellow and a NC Principal Fellow. She was an English teacher and STEM Center instructor at Davie County High School for three years and an English teacher at Forbush High School for two years. Jennifer Lynde, current assistant principal at Pinebrook Elementary, will be moving into the Curriculum Department effective August 1. Mrs. Lynde earned her Bachelor of Science in Elementary Education from Appalachian State University and her Masters in School Administration from the North Carolina Agricultural and Technical State University. Mrs. Lynde started her teaching career in 1999 in Winston-Salem/Forsyth County Schools and has served as school magnet coordinator, instructional coach, assistant principal, school improvement grant documentation manager, LEP coordinator, testing coordinator, curriculum coordinator and lead instructional support coach. With summer right around the corner, it’s time to think about keeping children healthy while schools are out. 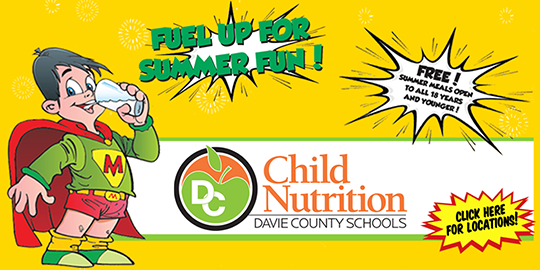 Davie County School’s Child Nutrition Services provides free meals during the summer to any child between the age of one and eighteen. This summer, meals will be served at multiple sites across our county Monday through Friday. There are no income requirements or registration. For more information, contact the Child Nutrition Services office at 751-2751, visit us at www.davie.k12.nc.us for a complete listing of meal sites and times, or click on the buttons below. Summer reading has already begun thanks to the fourth annual Give Five - Read Five book drive! The North Carolina Department of Public Instruction’s statewide summer reading initiative had a goal for each elementary school student to leave for the summer with five books of their own to read over the summer break. Cooleemee, Cornatzer, Mocksville, Shady Grove, and William R. Davie elementary schools participated this year. Donations from the community were greatly appreciated. Every Cooleemee student picked out five books to take home for summer reading. They had over 3800 books donated by Cooleemee staff, students, and community members. Bermuda Village donated 900 books and they received nearly 200 books from Davie High School students. Shady Grove students picked three books each for their summer reading. Approximately 2000 books were donated by teachers, students and community members. The students also received training for myon.com to access e-books this summer. William R. Davie Elementary was able to provide two books for every student to take home over the summer. The books were provide by multiple donations. One hundred books were donated by Governor McCrory and his wife. The WRD PTO and parent donations supplied the rest. New this year is the opportunity for all students to download free books to read over the summer using myON. Information was shared with students about how to access myON. To learn more about Give Five - Read Five from the State Superintendent, click the Learn More button below. The New Davie County High School remains on schedule and within budget. Opening Fall 2017!